FuBaiNa international development Co.,LTD is a professional production of medical intermediate, Pharmaceutical chemicals . 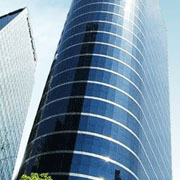 The company was established in 2000, the company actively explore overseas markets. The products are mainly exported to North America, South USA, Europe, Australia, the Middle East, Southeast Asia Africa, etc.. In order to expand our business, we also cooperate with domestic hard metal recycling companies strong, in the success of the Pakistan market also won many customers.